This accordian book–output on handmade washi & enhanced with Prismacolor & Color Tag– is 51″ long when open and viewed as a continuous field. Although the book can be read as a codex (see slides) it should be displayed open. 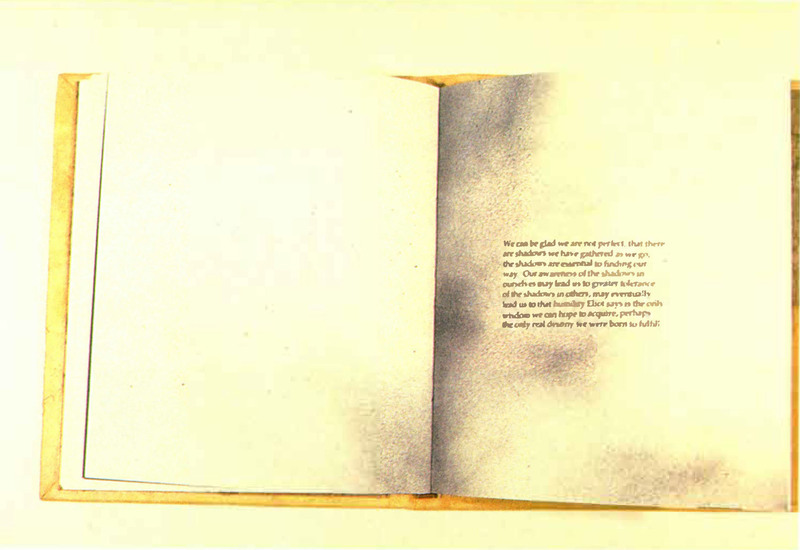 The image and typography serve to create a visual text as complement & in tandem with the written text (poem by artist).